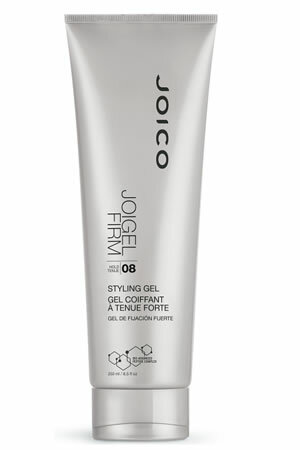 Joico JoiGel Firm Hold Styling Gel is an alcohol-free gel with firm styling control and shine to support hard-to-hold hair. Panthenol, a Vitamin B5 derivative that is a natural humectant, provides additional moisture, body and sheen. Protectants fight environmental effects. You can use this firm hold gel to create wet or dry looks. Provides excellent support, control and shine without flaking. For all hair types, especially thick-to-coarse hair. Directions:One good dollop worked through damp hair is all you need, so apply a small dollop to hands and work evenly through damp hair. Air-dry or blow-dry as usual.